A Spoonful of Spit Up: ScriptureArt Review and Giveaway! I am SO EXCITED for this giveaway! Seriously, I've been writing this post in my head for weeks like a weirdo. 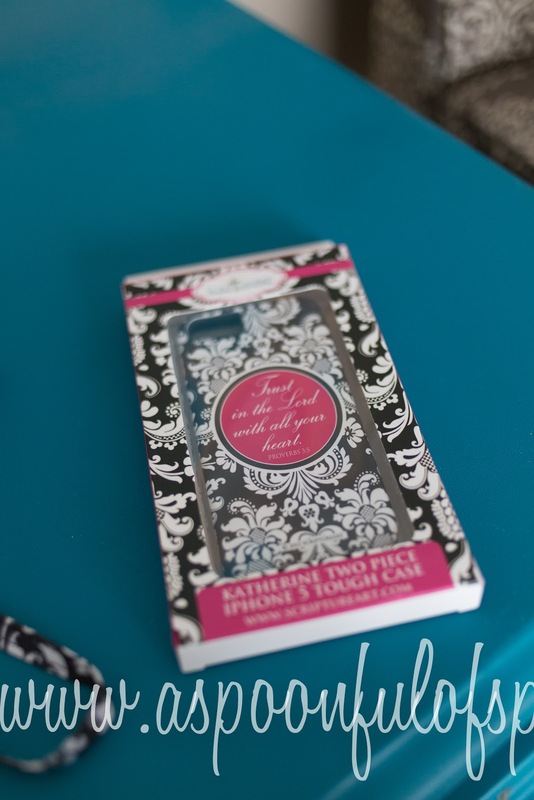 When Katie from ScriptureArt approached me about doing a review of their products and giving some away, I immediately knew that I wanted to. Just take a look at their website, and you'll see why I'm so excited! The products are beautiful, and the best part: scripture is a part of almost all of them! 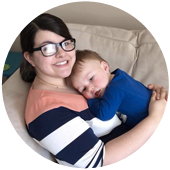 ScriptureArt was started when Kelly was struggling with depression and sleep deprivation after the birth of her third child. She knew that meditating on God's word would help with those feelings, and started writing scripture on cards so that she could read them all the time. 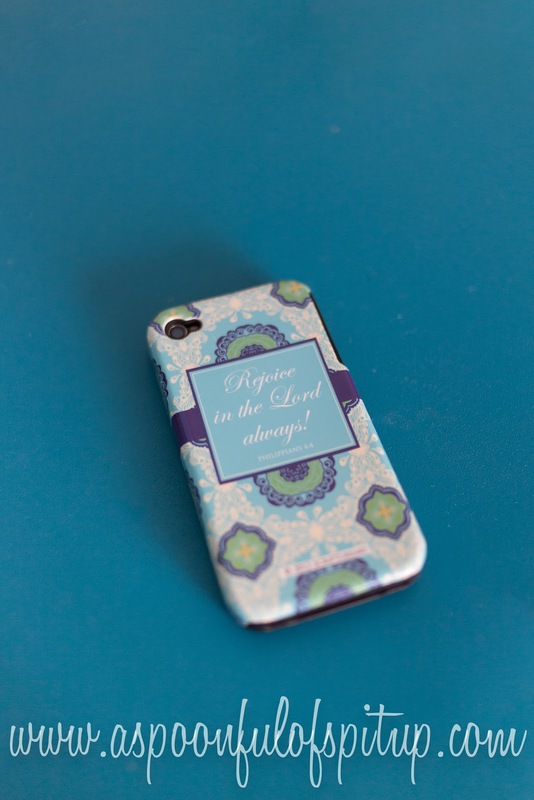 She started ScriptureArt to help incorporate scripture into everyday things like totes, phone cases, and calendars. 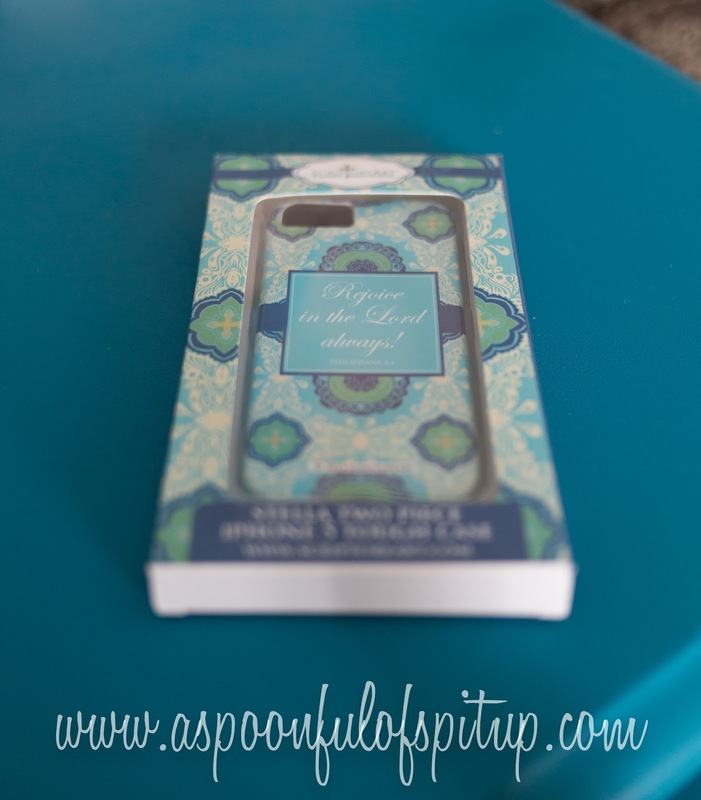 I love the story behind ScriptureArt, and I love their products so much! 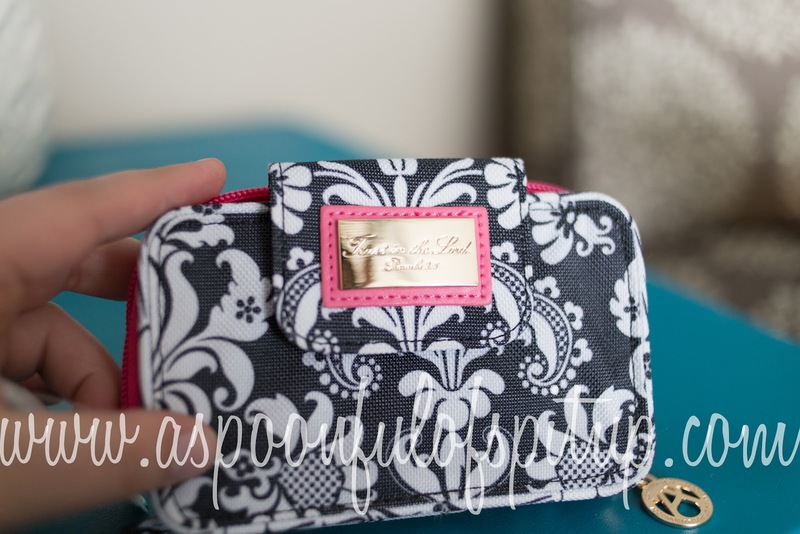 They sent me an iPhone case and wristlet to review, and I have some to give away, as well! Aren't you all lucky! The answer is YES. You're very, very lucky. Obviously. I have a real problem keeping Gibson's diaper bag organized, and I especially have a problem keeping my things together. I'm always rooting around in the bottom of the bag for my debit card and phone...so I'm especially excited to have this wristlet! It has a pocket for a phone (which fits with their phone cases! ), and a zippered pocket that holds all my hundred dollar bills and platinum credit cards. The gold plate is engraved with Philippians 4:4--Rejoice in the Lord always! From the side! 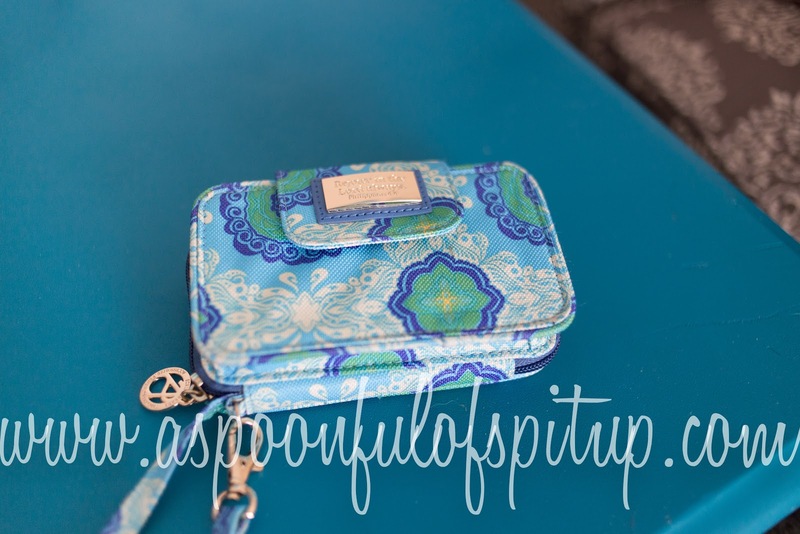 You can see my phone in the case that matches the wristlet. So cute. Look at all that money! I'm obviously rich. There is a pocket with a window on the outside for a driver's license. And the phone case is amazing! It's heavy duty, but still super cute. It has the same verse on it as the wristlet. And a silicone sleeve that goes under the hard case. It's not a bulky case, and I love the way it feels! These products are extremely well-made, and of course super cute! 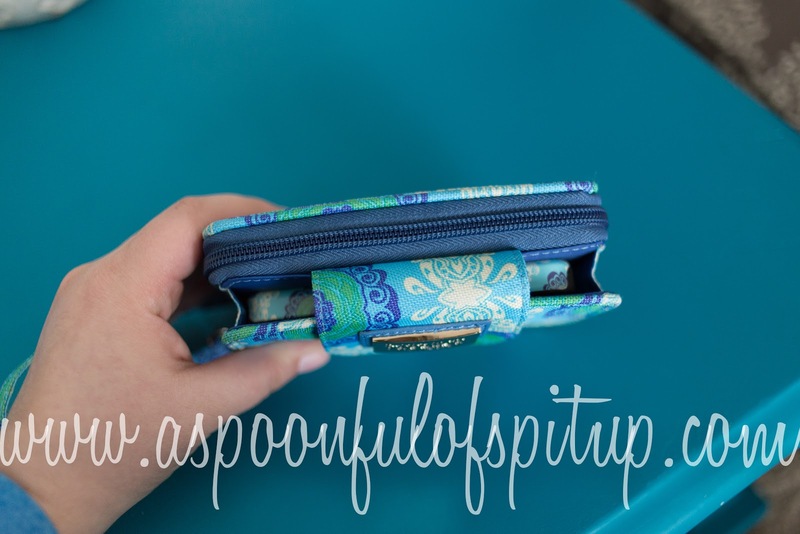 I love that I can just carry my wristlet if I need to take a quick trip somewhere instead of taking the entire diaper bag or my purse. And now for the giveaway! We will have TWO winners...hooray! The first random winner will get a wristlet and matching iPhone 5 case inscribed with Proverbs 3:5--Trust in the Lord with all your heart. And the second random winner will get an iPhone 5 case that matches the one I have! The giveaway is only open to US residents, and will be open from midnight on March 11 until the end of the day on March 15. To enter, use the Rafflecopter widget below! You can get up to six entries into the giveaway, but to unlock the other five you have to do the first one: visit the ScriptureArt website and leave a comment letting me know what your favorite product is! Once you do that option, the other five will be available. 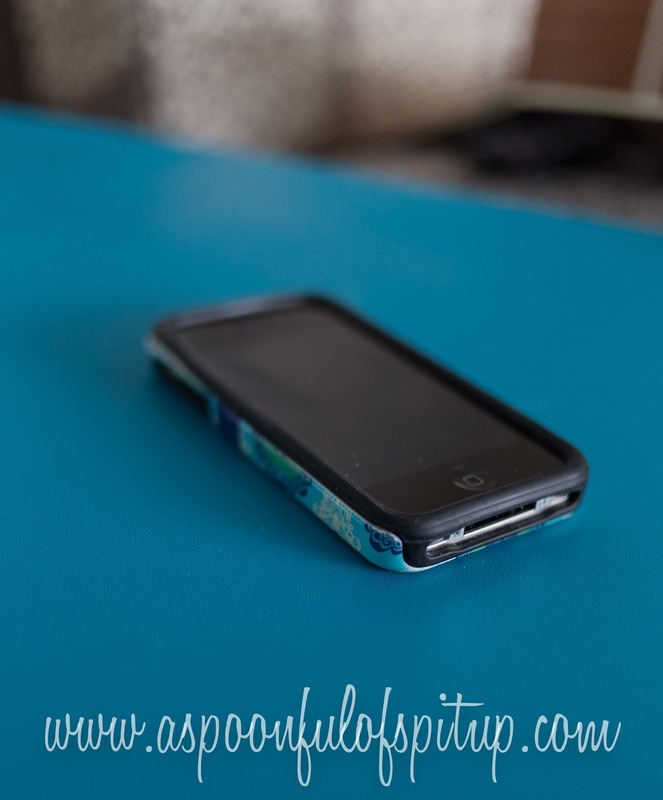 Even if you don't have an iPhone 5, you should still enter this giveaway! It would make a great gift for someone you love! Or someone you don't love. It's up to you! I won't judge. And for everyone, regardless of whether you win, ScriptureArt has given me a coupon code for my readers! To get 10% off your order, enter spoon14 when you check out. This code expires on 12/31/14, so you have all year to order fantastic products and get a discount! Make sure to share this giveaway with all of your friends! I would love for as many people as possible to hear about ScriptureArt...it's a fantastic company! There are two sister companies to ScriptureArt under the Mary Square brand, as well: SavannaGrey and AppealingPrints. SavannaGrey has really beautiful personalized phone cases, lunch totes, water bottles, and more! You can get products monogrammed, and they're really cute! AppealingPrints sells inspirational decals, greeting cards, and chore and potty charts. Feel free to check those websites out, as well! *Note: I have not been compensated in any way by any of the Mary Square companies. I was sent a product to review, and my review reflects my opinion about the products...which is that they're awesome! Voting for my blog will not help you win this giveaway! But I would obviously still love it if you would vote for me everyday. And also, remember, it's Ellie's birthday! And she wants you to vote for her mommy's blog. Such a sweet doggy. That is so pretty!! I want to win. Seriously. Now I just need an iPhone... but that's planned for this summer, so I will totally get a case if I don't win one then. Insert brain! Favorite product. The Stella phone case is gorgeous. I love the colors. When we get a house I might order the space room decals, Ella's room is space-themed. And a dose of scripture plus space is awesome. Love the wristlet! 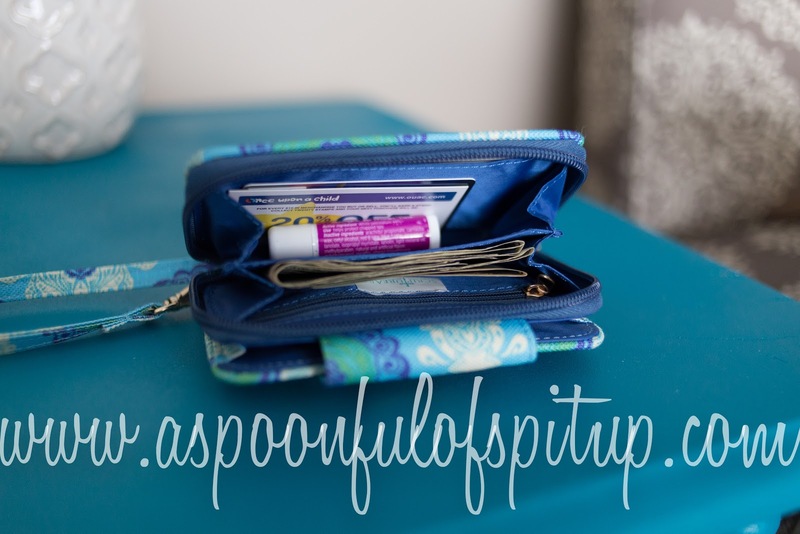 Would be nice to use instead of a purse when i don't need the diaper bag! I've been looking for a new wallet type thing. Would love to win this! These look amazing! What a fantastic giveaway. Don't you think one of the greatest joys is stumbling upon little ways to save big when you least expect it? We stopped by to hopefully help you do just that. We're Dorco, a manufacturer of high quality shaving systems, cartridges and disposable razors for men and women, and our razors cost up to 75% less than leading brands. But that doesn't mean you have to sacrifice the quality of your shave. Our razors are crafted with the highest quality blades and lubricating strips containing moisturizing ingredients like aloe and vitamin E to soothe and hydrate even the most sensitive skin. But don't take our word for it--read what others think about our products and our prices at DorcoUSA.com. Thanks for hearing us out, and congrats in advance to the lucky winner of your giveaway! I found this baby monitor in a button: www.mondevices.com or monbaby.com and want to share it with other parents. How can you pick one product has their favorite? I think the meal planner is my favorite. I really love their growth charts and the wristlet would be great in the diaper bag to tame some of the madness in there!! Don't ask me that! Again.